Last friday Owen told me that he wanted to be a tennis player when he grew up. So friday night, Peter bought the girls new rackets and gave their old ones to the boys so we could go play saturday morning. We went to the high school and it actually was really fun. 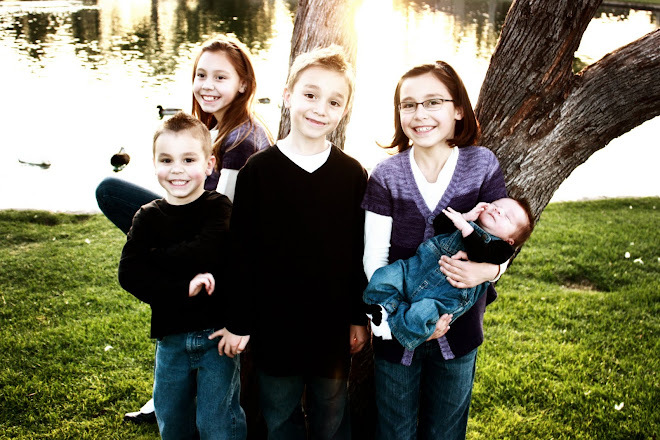 Last time we took the kids (before we moved to AZ) it didn't turn out so well. There was no crying...in fact the only complaint was the heat and we didn't bring enough cold water to drink. We'll have to prepare a little better next time. The kids each had a turn having a little lesson with Peter. They all did really good, even Jake had a few hits by himself. 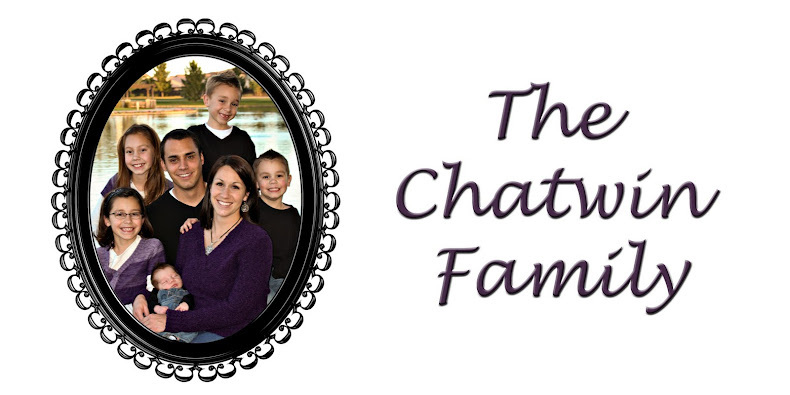 We'll have to keep this up cause it was really fun to spend the time together as a family doing something different. Today is 80's day at school. I couldn't get Abbey's bangs just right cause they are too long. It took all I had to not cut them this morning so I could get them perfect. Quincy has been begging forever to wear a side ponytail and they both kept saying, "no fair, you got to wear your hair like that all the time!" Wasn't I the lucky one! A couple of weeks ago, our ward had a silent auction fundraiser for scouts. I bid on and won 8 free piano lessons for the summer. I have been really excited about them cause I think it is just the excuse I needed to finally find a piano for our house and start the girls in lessons. I have been searching craigslist and it started out really fun, but now has turned out into something super stressful. My original plan was to keep it cheap, but so far all the cheap pianos that I have seen are just cheap pieces of crap (ugly too). 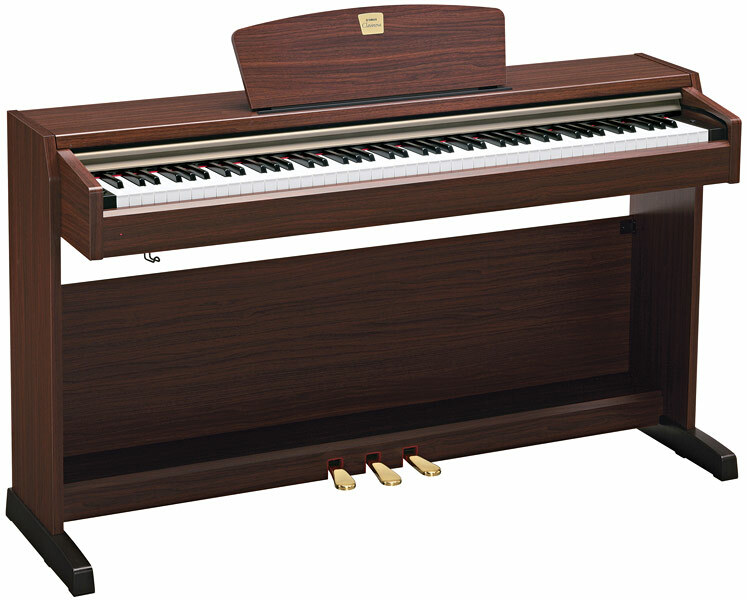 I went to a piano store yesterday and looked around and they suggested a digital piano (yamaha clavinova). I was really impressed with the sound of it and of all it's capabilities, but they still start out at $1200.00 which is a lot more than I want to spend. We also have the option of renting the piano and if we decide to purchase we can use the first 6 months rent as credit. I also like the fact that I can put it my den (which we use as a kids family room) so it doesn't have to look good. You can plug headphones in it so the girls can practice silently and my other kids can still play with their toys, watch movies, etc. without being bothered. For those of you who know my Quincy, she doesn't like to mess up in front of people so having her practice silently may actually really benefit her. The sales man suggested to use the digital piano and if my kids end up sticking with piano, then invest in a nice piano that will last for years. Does anybody have any suggestions or input on my situation? It was such a nice day today. 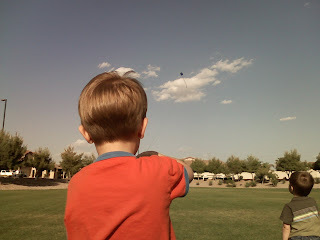 It only got up to 75 or so and it was windy (doesn't happen very often), so we decided to go to the park after school and fly a kite! I forgot my camera so I took pictures with my phone. They turned out pretty good. The only problem I have is I don't know how to download pictures from my phone to my computer so I had to email them to me one at a time. Hope that doesn't cost too much! 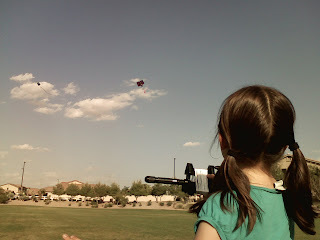 Abbey flying her friends kite. You can't tell but it is a pirate ship flying in the sky! 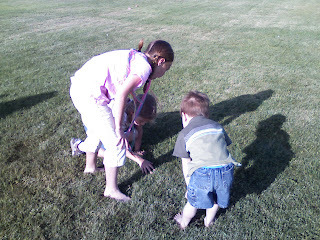 Quincy, Jake and friend Rachel distracted by a ladybug. 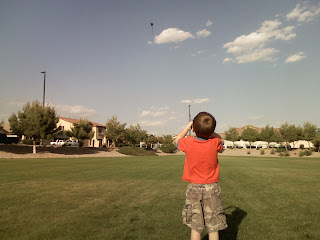 We haven't flown kites for over 4 years, I'm not sure why Eagle Mountain is always windy! The kids had so much fun....so much that Owen threw a fit when I told him it was time to go! on another note...it was really nice to go another day without having to turn our air conditioner on. Saturday I made the mistake of showing my girls how to use the video clip feature on my video camera. Well, in no time at all they filled up my 2GB memory card with a bunch of these little video clips that only a mother could love. I'm not sure what the drinking show is and if I should be worried when they are older. Believe it or not Quincy used to be SUPER shy. I think she is over that, cause she has been begging me for 3 days now to post some clips. Well, last wednesday I decided to take the plunge and start potty training Jake. Until today it has been SUPER stressful. That kid is the most stubborn of all my kids. The first day it took him awhile to figure out how to let the pee out but did really good. The next few days became more and more stressful. He was so stubborn and did not like the fact that there was no turning back for him and he fought me every time I would make him go. He woke up dry one morning and couldn't get him to pee till like 11:45 after making him sit on the pot for over 40 minutes screaming. That is pretty much how the last few days have been with the fighting it and crying time slowly shortening. Something has just clicked today though, every time I asked him to go, he would! And sometimes he would stop what he was doing and go running to the bathroom cause he needed to pee. I think he finally has the pee thing down! I wish I could say the same for the poop. You see, he is a boy and has a big brother and a daddy that stands up when they pee, so that is what he does. I don't think he understands yet that you just can't stand up and poop. Three times he has run to the bathroom without me knowing to poop, stands where he would stand to pee and poop on the floor! It is driving me nuts! I guess I should be thankful that he is recognizing that he needs to go, right? Owen (my 4 year old) was cleaning up the family room today and it needed to be vacuumed bad. So when he was done picking everything up and putting it away, he asked if he could vacuum. So, of course I said yes...never too young, right??!! He was so excited that he did it all by himself and he actually did a pretty good job! I think I will need to take advantage of this while he wants to vacuum. Is that bad?